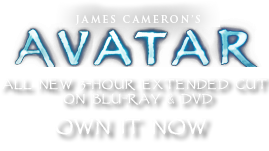 Armor Bay | Pandorapedia: The Official Guide to Pandora | Own AVATAR on Blu-ray & DVD Now! Designed for security and rapid force deployment, the armor vault is the core of Hell’s Gate’s defenses. Inside its large fortified hanger can be found (among other things) the Dragon gunship, Scorpions, Samsons, and AMP Suits. The Hell’s Gate armor vault is believed to be the largest concentration of light to medium weaponry outside Earth. Early estimates of defensive material required to establish a secure human base on Pandora were found to be wildly inadequate. Spectrographic observations had determined that Pandora was covered with dense jungle, but it was assumed that nothing more challenging than the animals found on modern pre-industrial Earth were likely to meet the colonists. For that reason, the first expedition was equipped with no weapons more powerful than 20th century elephant guns, large caliber rifles with a slow rate of fire that may have been effective against Earth’s extinct pachyderms but were utterly useless against fast-moving Pandoran carnivores such as thanators, vicious packs of viperwolves or even massive armored herbivores such as hammerhead titanotheres. The small contingent of SecOps forces assigned to protect the landing force carried light automatic sidearms; these and two fifty-caliber machine guns mounted on two SA-2 Samsons were the only automatic weapons available to the initial expedition. 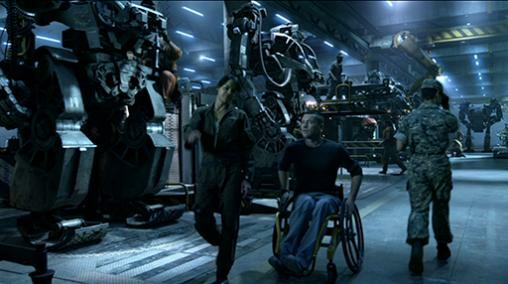 Fortunately the SecOps force included a number of engineers and artificers – it had been expected that they would join the civilian mining and engineering forces once the base had been established but as events transpired, personnel flow ran in the opposite direction, with many civilian workers drafted into SecOps duty. Much of the armor vault was originally designated for mining equipment stowage, civilian vehicle parking and maintenance, and additional recreational facilities. Instead the fabricators brought out for mining equipment maintenance were repurposed to make ammunition and razor wire, the mining machines themselves were used to dig defensive earthworks or fitted with armored cabs and giant knives and sent to engage Pandoran megafauna. By the time the colony was reinforced with heavy weapons, the armor vault had become the defensive center of Hell’s Gate and the key to the colony’s survival. Eight executive promotions and sixty-eight senior promotions (43 of them posthumous) were awarded by RDA to the SecOps and civilian forces considered most responsible for constructing and defending the facility. Notes Located adjacent to the Hell’s Gate landing facilities, the armor vault also incorporates barracks for SecOps personnel assigned to Pandora.